The 4th in a small town. Independence Day in Smalltown U.S.A. is pretty amazing. I could be saying that because I’m a bit biased. I grew up in a town that didn’t have a “down town” but a village. I now live in a small mid coastal town about 15-20 minutes away from there. Between my hometown and my new town, is a small city where I work. It’s tight knit and comes with the hassle of everyone knowing your business, but that’s how all small communities work. The Quarry House is about a half-mile from town center, putting me within walking distance of probably one of the most fun birthday celebrations for America. Parades of all the things this country was founded on and what it runs on today. A carnival with rides (fried dough) and live music. 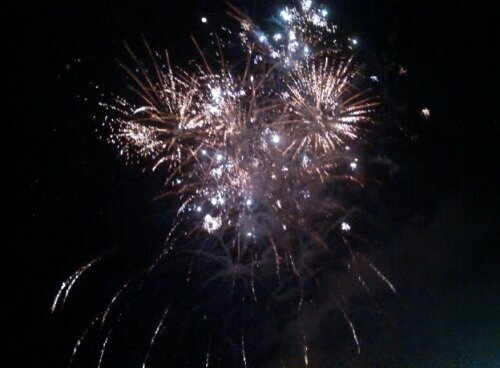 And of course, a pretty spectacular fireworks display. It’s fun to watch people from all over come to enjoy the birthday party my little town throws for its country. Clean eating: It isn’t new, and it’s worth it.